I came home late one night after a stressful day at work and switched on the TV to shed a bit of tension out of my system. I switched on to one of the Pakistani news channels only to have it switched off within five minutes with a bigger headache than what I had started with. The reason was the unbearable level of noise that the respected participants of the ‘top rated’ talk show were generating. The high profile host of the show was smiling all the while as if enjoying every bit of the ‘prime time fight’. My patience reserves exhausted when one of the participants in a western suit and tie called the other a ‘liberal’ in such a derogatory way as if he was abusing the other. Finding apparently nothing wrong with these words either, left me even more perplexed because I thought that being open minded and progressive is also what the religion teaches and the society demands from us. If we delve into the history of Islam, we see that Quran was revealed in a span of 23 years. During these 23 years, a lot changed and accordingly did the revelations from God, e.g., banning of alcohol was done in phases. Some of the earlier revelations from the same God on His previous messengers were superseded with new ones and rules were relaxed according to situations. So religion in itself is progressive and teaches us not to get stuck in time. The question arose that if there was room for progression in those 23 years 1400 years ago then why not now when advancements have been made at a pace never before seen in the history of mankind? Why is it that the liberals are frowned upon in our society? So I decided to do some research on liberalism as it is understood in politics. Good old Dr Wikipedia says: Liberalism is a political philosophy or worldview founded on ideas of liberty, equality and justice (both legal and social justice). Liberals espouse a wide array of views depending on their understanding of these principles, but generally they support ideas such as free and fair elections, civil rights, freedom of press, freedom of religion, free trade and private property. As far as my meagre thinking goes, none of these is either against the religion, law or general norms of society. In fact, this is probably the reason why in the 20th century it’s the liberal democracies that have seen the most growth and progress made. 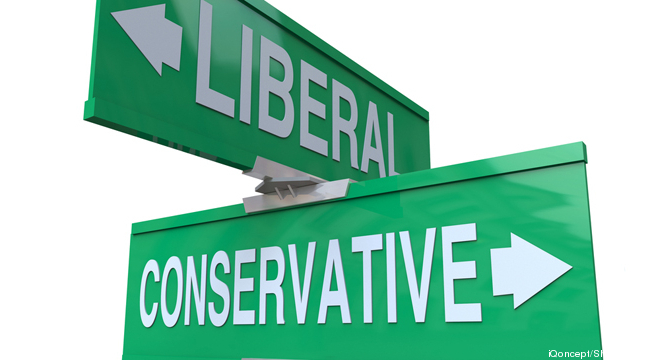 Why then is the word liberal so demonised by one side of our ever growing left-right divide? Watching the vomit of words going on on our TV screens, it seems that the liberal is portrayed as a hard drinking, clubbing, womanising species who feeds on US dollars, follows the paymaster’s dictates only and hence devoid of any patriotism. A liberal is also considered to be having nothing to do with the religion and thus lacking any moral bearings. Nothing could be further from the truth than this wayward perception. Being liberal neither means that one is an atheist, nor does it imply that one is unpatriotic. We’ve had our fair share of liberal heroes, Salman Taseer being one of them who had to pay with his life for standing for his liberal stance. Just like conservatism, liberalism also has its core principles, the difference being that liberalism is not afraid to question the status quo. It looks for answers to the whys that keep propping up in every mind but is shunned to believe the ‘way it is’. The foundation of this philosophy is that all ideas will be constantly examined, scrutinised, studied and debated. If new information emerges to challenge the present state, it will be rightfully taken into account. Liberalism searches for the ultimate value on which to build a moral foundation: the Truth. This does not imply in any way that it is only the liberals searching for the truth. The point to be made is that however healthy our left-right debates may be, it is wrong on either side to accuse the other of being a traitor or unpatriotic on being liberal or conservative. A liberal can be just as much loyal to the country and just as dedicated to the religion as a conservative and vice versa. At the end of the day it is the humans that err, not the ideology.